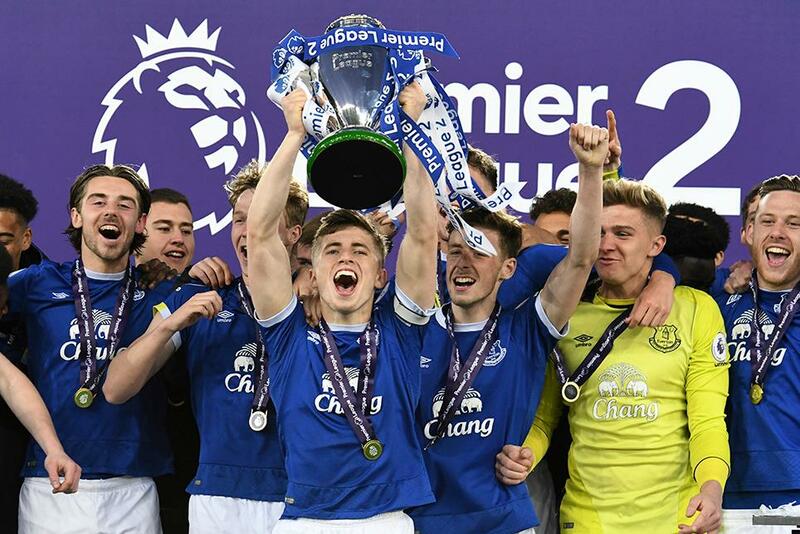 Goals by Sheyi Ojo and Trent Alexander-Arnold gave Liverpool a 2-1 Merseyside derby victory at Goodison Park, but Everton were also celebrating as they lifted the Division 1 trophy in front of 17,525 fans. Ojo was set up by Harry Wilson for an early opener and Alexander-Arnold doubled the lead in the 57th minute. Substitute Calum Dyson pulled one back for the hosts in the 83rd minute, but the Reds held firm to finish third in Division 1, two points behind second-place Manchester City and five adrift of their neighbours. The bumper crowd and Everton's live broadcast of the match raised funds for Everton in the Community's 'Home Is Where The Heart Is' campaign, which has generated more than £140,000 to support young people on the brink of homelessness across Liverpool.